Like Noah we are in the middle of a great ocean and we have an Almighty Father looking over and after us as we ride the storms of life. Our Hope is always there remembering us. As Jesus approached Jericho, a blind man was sitting by the roadside begging. When he heard the crowd going by, he asked what was happening. They told him, "Jesus of Nazareth is passing by." He called out, "Jesus, Son of David, have mercy on me!" Those who led the way rebuked him and told him to be quiet, but he shouted all the more, "Son of David, have mercy on me!" Jesus stopped and ordered the man to be brought to him. When he came near, Jesus asked him, "What do you want me to do for you?" "Lord, I want to see," he replied. Jesus said to him, "Receive your sight; your faith has healed you." 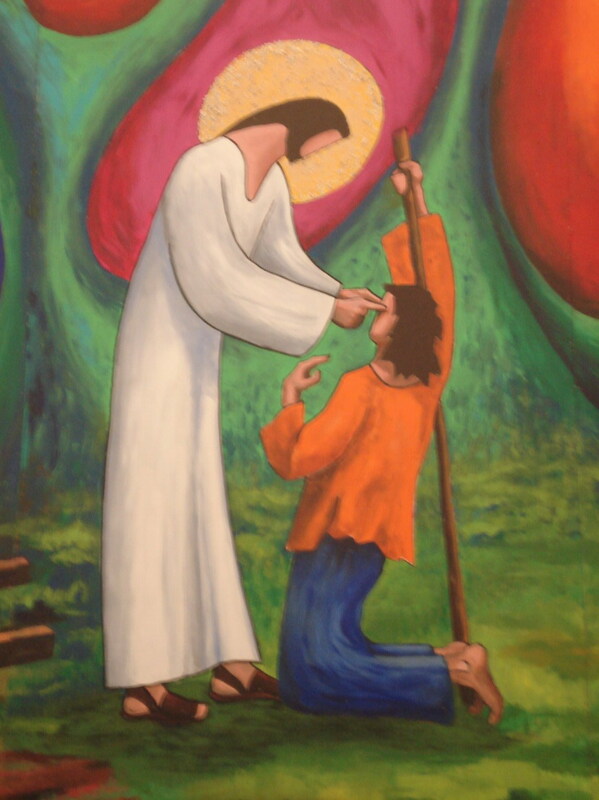 Immediately he received his sight and followed Jesus, praising God. When all the people saw it, they also praised God. When we are in a state of blindness and cannot see the way forward, Hope orders us to go to Him. 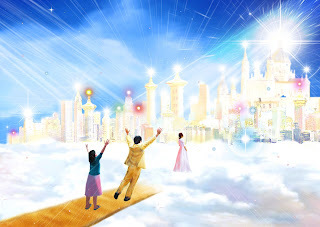 When we comply with his request our Father will return our sight to us and show us His path that He wants us to walk.
" 'But if they will confess their sins and the sins of their fathers--their treachery against me and their hostility toward me, which made me hostile toward them so that I sent them into the land of their enemies--then when their uncircumcised hearts are humbled and they pay for their sin, I will remember my covenant with Jacob and my covenant with Isaac and my covenant with Abraham, and I will remember the land. For the land will be deserted by them and will enjoy its sabbaths while it lies desolate without them. They will pay for their sins because they rejected my laws and abhorred my decrees. Yet in spite of this, when they are in the land of their enemies, I will not reject them or abhor them so as to destroy them completely, breaking my covenant with them. I am the LORD their God. But for their sake I will remember the covenant with their ancestors whom I brought out of Egypt in the sight of the nations to be their God. I am the LORD.' "
When we feel forsaken and our lives and the lives of our family are out of control, Hope reminds us that we must confess our sins and the sins of our father's. Hope returns when we are in alignment with our Father in Heaven. By confessing we undergo cleansing. If we refuse to hand over our sins we pay by our lives being controlled by sin. And when our lives are controlled by sin we experience traumas. But because our Father loves us, no matter what, he will never reject us, and will always be waiting for us to return to Him with His arms outstretched. Hope never gives up. It is possible to have hope in a desperate world when we look upon the one true source of Hope, Jesus Christ. My hope is that one day God will bring us all home.